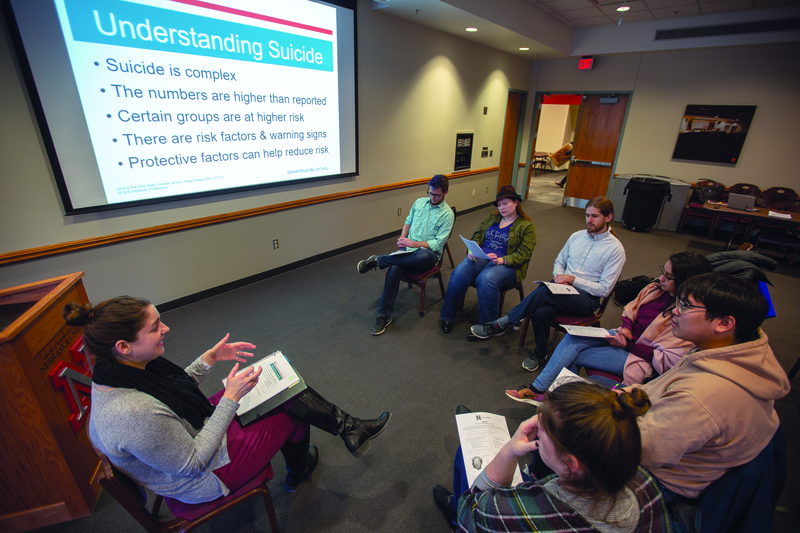 By the end of the spring semester, Nebraska plans to have 1,500 volunteers trained on how to recognize mental health issues and how to direct individuals to resources for assistance. The suicide prevention program is led by Big Red Resilience and Well-being. Announced in December, the three-year, $300,000 Garrett Lee Smith Suicide Prevention grant will help Nebraska officials develop a program to address student concerns, providing consistent mental health and suicide screening options. Laura Shell (left) leads a REACH training session with members of the Graduate Student Assembly on Jan. 29. 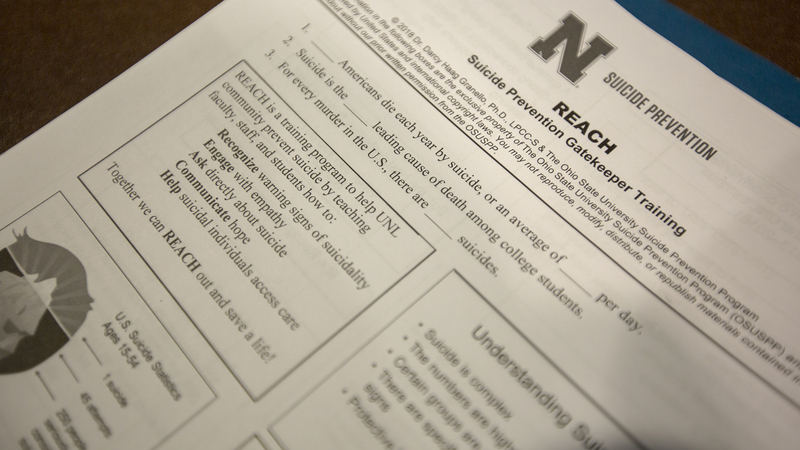 The training system was developed by Ohio State University and is going to be the basis of Nebraska's new suicide prevention program. REACH gatekeeper training to assist with suicide prevention is available for free to all campus units. Contact Big Red Resilience and Well-being for more information.